The NABA Memorial Day Count (in the United States) will be held May 27-29, 2017. These counts will give butterfly enthusiasts throughout the continent an opportunity to get out and enjoy butterflies while contributing to our growing knowledge of butterfly distributions, flight times, and abundance. In contrast to the highly organized NABA 4th of July and 1st of July Butterfly Counts, the Memorial Day Counts are free-form. All you need to do is to observe butterflies at one or more of your favorite butterflying localities (such as your own backyard) this coming Memorial Day weekend and note what butterflies you’ve seen. There are no requirements regarding how much time or area you cover. Then go to the NABA Recent Sightings web site, sightings.naba.org, sign up for a free account and enter your sightings, filling in the location, date, and butterflies seen. Because these counts will be taking place during a very different time of year than do the 4th of July and 1st of July counts, we can expect to see different populations of butterflies than those present for the July counts. Because the approach is different, maybe we’ll also see different populations of counters! We hope that literally thousands of enthusiasts will have a great time outside and contribute to our knowledge of butterfly populations across the continent. 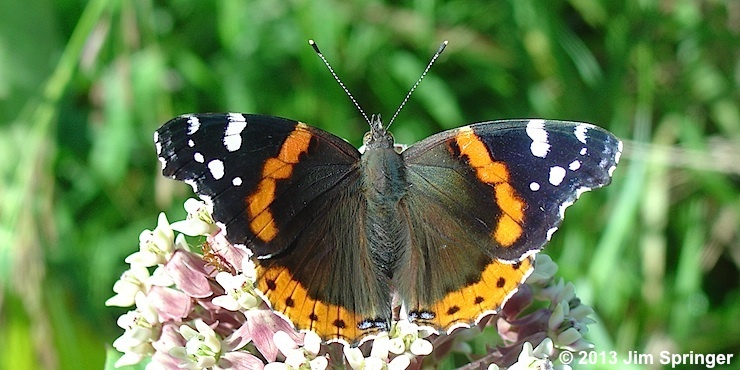 Come join the NABA-Wisconsin chapter for BUTTERFLIES OF BAUER-BROCKWAY BARRENS in Jackson County this Saturday, May 20 from 10:30 a.m. – 3:00 p.m. The best place in the state to look for early butterflies in May is Jackson County. Butterfly expert Mike Reese will lead us in finding and observing many scarce and unusual species, many that only fly in May! We expect to find all 5 of the state’s Elfins, including the very rare (and State Threatened) Frosted Elfin. We should find Olympia Marble, Gorgone Checkerspot, Cobweb Skipper, Dreamy and Sleepy Duskywings, etc. Over the past 9 years we have averaged 21 species. Bring binoculars if you have them, close-focusing ones work best. (A few extra pairs of binoculars are available.) Also, bring a bag lunch and water. A hat, long pants and long sleeves are recommended. Participants must PRE-REGISTER for this trip by either calling Mike at (920) 647-0196, or include your phone number in an email to mailto:mikereese@wisconsinbutterflies.org (so we can contact you in case of postponement or cancellation due to weather). While some species are suitably adapted for living off of the resources available in the forest, woodlands lack the nectaring resources the majority of butterflies need. Many species lay eggs on woodland trees that will then require flowers as adults. Where the woods break into open spaces, you will more commonly find these species. Thanks to the Ontario Woodlot Association for giving me the opportunity to write for their members!